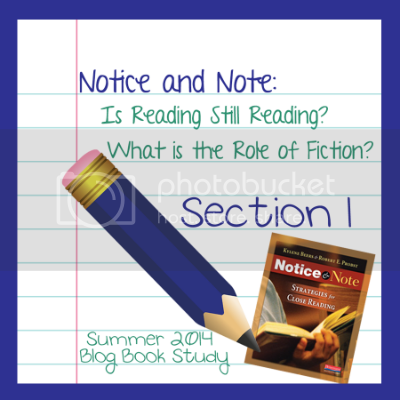 Welcome to the first part of our online Notice & Note Book Club! I was really anxious to share some reflections with teacher colleagues in this manner this summer. Sadly I couldn't round up enough French teacher bloggers who might like to share ideas about specific reading material (I know you're out there! Please contact me if you're up for something like this in the future!) However, language teachers ARE literacy teachers, and I'm excited to be involved with this initiative led by Melissa at Dilly Dabbles. I want to share a few thoughts that struck me in the first part of this resource. The authors shared that they wrote the book because they saw "too many readers who finish and ... seem not to have noticed anything, responded to anything, been touched or troubled or amused by anything." This resonated with me, as I taught a novel study in class last year and had students tell me "I understand the words, but it doesn't MEAN anything to me." I really wasn't sure how to respond at the time. How could this be, I wondered. My students were not low, academically, but they didn't really seem to be able to make meaning for themselves when reading in their second language. I was working hard to try to encourage students to use various reading strategies, but in the end, it just didn't seem to be enough. In the introduction, Beers and Probst talk about "the signposts" and I see on the inside cover flap a handy guide related to them, but what I'm still wondering at this point is whether this is a well known term that's just new to me, or if it's strictly related to close reading... or to this resource in particular. I'm sure that will become clearer as I progress through the book. I think that it CAN be, but isn't always. Skimming isn't reading. Scanning isn't reading. Surfing isn't reading and scrolling through a Twitter feed or blog roll isn't reading... but they can lead to reading. What's the Role of Fiction? I think we as teachers "get" the recent push for students to understand nonfiction texts in various forms, and yet I still feel fiction is more likely to touch students' hearts and to get them excited. So I was pleased to read the quote from Beers that "nonfiction lets us learn more; fiction lets us BE more". Being exposed to great literature makes us better able to interact with others in our own lives, the book asserts. I was also pleased to feel like I was given permission by Notice & Note to actually teach a novel... even though the educational trend here in Ontario (Canada) seems to be moving far away from that, in favour of Book Talks, Clubs, lit circles and the like. How do you prefer to use novels in your classroom? I'm especially dying to hear from other FI teachers. 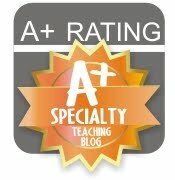 Be sure to take a look at what my edublog friends had to say about this first section too. And remember, it's not too late to join us by commenting on any blog post that appeals to you! Thanks so much for participating and posting! I was getting the same comments from my students, native English speakers reading in in English, about their reading. Reading the words and still not comprehending or connecting in any way. The signposts are specific to this text, but they integrate them nicely with the comprehension strategies we are familiar with. I'm so excited to continue reading and learn along with fabulous teachers like yourself! I taught the signposts this year after reading Notice and Note last year. I really feel they helped the students know better how to interact with a piece of literature. 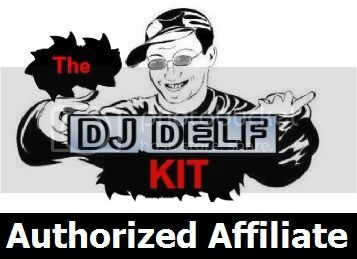 It was a great resource that I will continue to use! So glad to hear it! I love trying new things, but I love it even more when the new things work so well that I want to keep using them! I loved hearing from you, Anne! I have always taught English literature at the high school level but also have a credential to teach French but have never used it. I do remember my own extensive reading of French literature in French while I lived in France. Like your students I had a really hard time gaining meaning from the text--I understood it fine but I just couldn't relate to it. After about six months of this disconnect, I walked into Shakespeare and Company, bought a copy of The Catcher in the Rye, devoured it both laughing and crying through my experience. Then I changed my major to English. I don't know if it was the language barrier that kept me from appreciating French literature. I think it was more the cultural barrier although I love France and had a positive experience there. I guess I just relate to American and English literature more. Perhaps because my background knowledge was more extensive when reading about my own culture? There definitely ARE cultural nuances that we miss if we're "new" to a language and culture, aren't there? I feel like that's part of what I need to help students... to "teach" them, when exploring a novel, yet I have to admit that in some literature, there are likely subtle things that I may miss too, being a francophile (sigh!) rather than a "true francophone". Thanks for sharing your experience with me Noah! I am loving the book so far. I am hoping it will help me lead my students into looking for deeper understanding of our fiction books. There is a pull away from fiction in Texas as well. It makes me sad, because fiction does help us grow. It is what speaks to us and it is the bulk of what adults read. I can't wait to keep reading and discussing with everyone! Me too, Becca! Thanks for continuing the discussion with me! Thank you for you post! I don't have the book (I've already spent my quota on others!! ), but it sounds like a good one, and I am enjoying the book club - even without the book! :) Thanks for sharing! 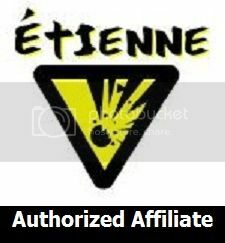 I am an Extended French teacher in Ontario and have taught Grades 5-8. Our programme, which starts in Grade 5, is 50% in French so the kids are reading fairly well by the end of Grade 6. I have some experience with teaching fiction and would love to follow along and join in with your blog. Thanks for sharing. It's always great to hear what other teachers in Ontario are doing in their classrooms.